Sony has been rolling out the announcements this morning, and most of them so far are all about portable stuff. 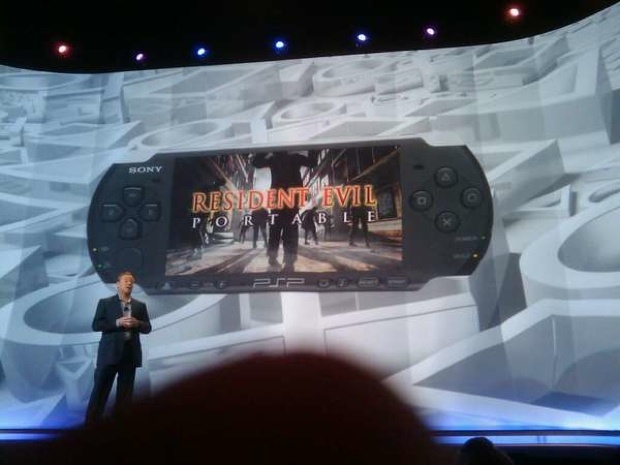 Along with the new Metal Gear and Gran Turismo, Sony also announced that the Resident Evil franchise will be coming to their portable system. And, yeah, that's about it. The picture you see is exactly all they showed, so... yeah. We'll try and hunt the game down while we're here and get you more info if we can, but hooray for more Resident Evil!